Gorgeous layered butterflies!! So pretty! I adore this card Maureen. I am soo in love with these everday enchantment papers. The colours are just perfect. I hope you don't mind if I case this card?! Gorgeous and a wonderful take on the Challenge card! I love this!! 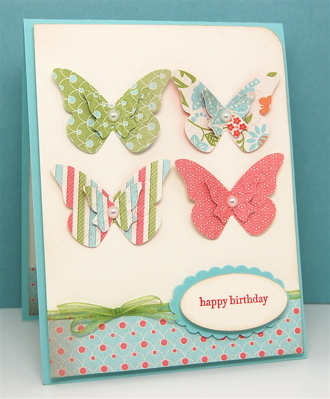 I love your layered butterflies Maureen! Thanks for joining us at CASE study. Such a beautiful card, love the butterflies and colours in this!